Trentonis a popular choice for Seniors to retire. Their are a large variety of housing options and assisted living opportunities. Trenton offers a wide variety of activities for Seniors: clubs, programs, exercise, home support, friendship, hiking, swimming, games, Probus, quilting, horticultural, art and Library. Are you 55 or over and looking for a great way to spend an afternoon? Why not come out and visit us at Seniors Unlimited? 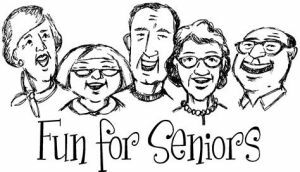 Seniors Unlimited is a social organization of volunteers working for the betterment of seniors in Quinte West. Join us at the Batawa Community Centre for cards, quilting, shuffleboard, potluck lunches, BBQs, special events, bus trips, line dancing, and much, much more! We operate on Tuesday and Thursday afternoons. Come out and give us a try! For more information or to get involved, please call Helen Skillen at 613-392-5993. Club 105 meets regularly for activities such as dancing, snooker, shuffleboard, bowling, cards, stamp club, workshop, quilting, arts and crafts, and more. Club 105 also organizes many trips throughout the year to various stage shows and tourist attractions. A list of events is posted in the club. The 60 Club Seniors meet every Thursday in the Legion Branch 110 Auditorium at 1:30 pm from September to June. This is a social and recreational club that offers euchre, cribbage, cards, 50/50 draws, potluck lunches, a Fall Anniversary Dinner, a Spring Celebration, and lots of other entertainment. Potluck luncheons and meetings are held at noon on the 4th Wednesday of the month from September to June. New members are always welcome! For more information, please call Danny Lake at (613) 398-1200.